Having pets is an incredible experience, but they can be a lot of work to maintain. Walks, food, and attention can be enough already, but when it comes to cleaning up after them, all bets are off. Pet hair is one of the more annoying aspects of animal ownership, mainly because it’s a constant in your life. Fortunately, with the best robot vacuum for pet hair, you don’t have to worry about it anymore. Thanks to high technology, you can automate this process. Thus, you can ensure that your home stays clean without having to stress about your pet’s hair or dander piling up. Today we’re going to be comparing the top robot vacuums out there. Once you have one of these handy devices in your home, you will love your pet even more. As far as robot vacuum brands go, no one compares to iRobot. The Roomba is synonymous with this kind of cleaning, and since this is the first company to develop this technology, you know that it’s going to be high-quality. The 980 model is one of the top units offered by iRobot, so if you’re looking for the best robot vacuum for pet hair, this is definitely a contender. It has upgraded software and features that make it better at cleaning and more self-sufficient. Navigation is usually an issue with robot vacuums because they can get stumped by corners and certain obstacles. Fortunately, the 980 comes with iAdapt 2.0 sensors that can detect and maneuver around anything in its way. Not only will it avoid getting trapped, but it won’t throw itself down the stairs or miss areas in your home. The power and performance of this vacuum are also excellent. Although it can’t do a full deep cleaning of your home, it’s perfect for picking up the pet hair that collects on a daily basis. All robot vacuums are ideal for keeping your home clean, but you will still have to vacuum manually on occasion to get anything they miss. What we like about the 980 is that it works on all floor types and it comes with a high-performance filtration system. Not only will it collect all of your pet’s hair, but it will trap dust and dander as well. Cleaning the container and filter is a breeze so that you can keep it in perfect working order all the time. Finally, the battery life on this model is also incredible. While most robot vacuums cap off at about 90 minutes or less, this one can keep going for up to two hours. Best of all, when the battery is really low, it will automatically return to its docking station to recharge. Not only that but it will resume where it left off once the battery is full again. 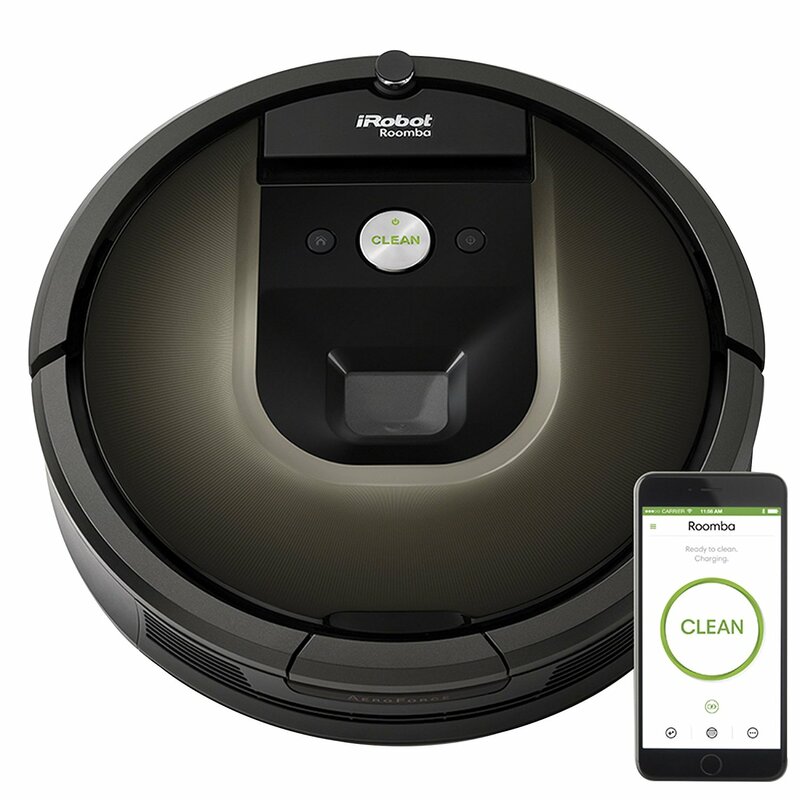 If you like the features and benefits of the 980 model from iRobot but you don’t want to spend a lot on your next vacuum, then the 690 may be a better choice. Although it’s not quite as powerful or as long-lasting as the 980, you still get a lot of excellent features that make it a viable option for any house with pets. The motor on this vacuum is excellent. 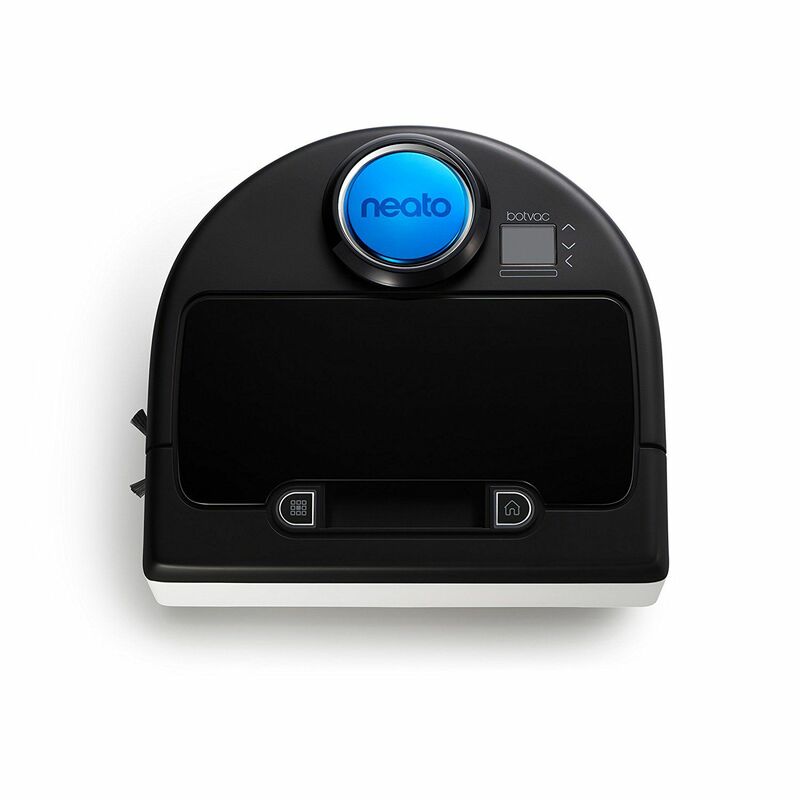 It has a five-stage cleaning system that picks up dirt and pet hair with ease. It has multi-surface brushes that work on all floor types, and it can transfer seamlessly, even if there is a significant bump between hard surfaces and rugs or carpets. Another impressive feature is the dirt detection system. This ensures that the vacuum tackles the dirtiest parts of your home first so that you can keep your floors clean for longer periods. It also has the same high-quality filter installed so that dust and allergens are trapped for good. It even comes with an additional filter, so you don’t have to buy one. One thing that iRobot offers that other brands don’t is the virtual wall accessory. This system allows you to section off rooms that you don’t want the vacuum to go. For example, if you want to keep your bedroom or bathroom off-limits, you can install the virtual wall and the device will avoid it altogether. 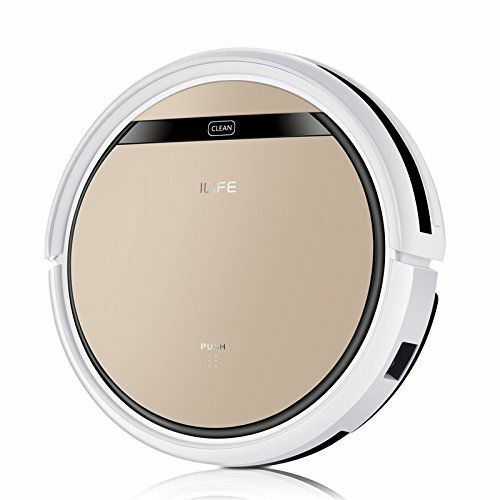 Like iRobot, ILIFE is another high-quality robot vacuum manufacturer. These machines are also capable of picking up dirt and debris all around your house without any issues. The V3s is on the lower end of the ILIFE model spectrum, but one highlight is that it’s built for pet owners. One thing we should also mention is that this vacuum is designed for hard floors only. So, if your home has a lot of rugs or carpeting, then you should look for a different model. That being said, the V3s is built to search and collect pet hair wherever it resides. To that end, it comes with a high-performance tangle-free brush to ensure that hair doesn’t clog the machine. The navigation sensors on this vacuum are highly tuned to avoid obstacles and stairways. It also has an edge cleaning mode so that you don’t miss any spots in your home. It has a slim profile to fit under furniture more easily, thus ensuring that pet hair won’t collect where you can’t see it. As with other robot vacuums, this one recharges itself automatically. Once the battery dips below 10%, it will search for its docking station so that it won’t die in the middle of the floor. Unless you have a particularly confusing home, it shouldn’t have any issues finding the dock. When you look at the different robot vacuums on the market, one thing that they all have in common is that they are circular. However, why is that the case? You don’t live in a circular home, so why is your vacuum that way? Fortunately, the Neato Botvac D80 is D-shaped so that it can clean better than the competition. On top of that, it’s built specifically to handle pet dander and hair, so it will keep your home immaculately clean. The D-shape design is unique to this brand, and it allows the vacuum to reach into corners and clean along edges so much more easily. Rather than pushing the dirt and hair into tight spots, the vacuum can cover every square inch of your home. Another thing that sets this model apart from the others is that it has intelligent room mapping software. Rather than clumsily bumping around trying to find its way, the D80 plans its route based on obstacles that are in its way. The only downside to this model is that you have to change brushes for different floor types. However, if you have mostly hard surfaces, then that won’t be an issue and you will love what the vacuum has to offer. No matter which robot vacuum for pet hair you decide on, these devices are built for convenience and peace of mind. Knowing that you have a machine cleaning your home on a daily basis can help relieve stress and allow you to focus on more important things like your pets and family. To make things even easier for you, this vacuum from EcoVacs can sync to your smartphone. This is a feature that many high-end models have, and it’s so awesome that you will find yourself playing with it on a regular basis. With the app, you can check the battery life of your vacuum (100 minutes, by the way), schedule a cleaning, or change the cleaning style as you see fit. You can customize between edges, spot cleaning or single-room mode with a push of a button. Best of all, once the battery starts getting low, the Deebot N79 will automatically return to its dock to recharge. What we also like about this vacuum is that it has three stages of cleaning. This ensures that both pet hair and dander are taken care of sufficiently, and it helps keep your floors in pristine condition. Finally, this model comes with a one-year limited warranty. Whenever you deal with high-technology, you have to expect that you will encounter issues every once in a while. Something stops working right and you have to fix it. With most robot vacuums, diagnosing the problem means sending it to the manufacturer. With the PetHair Plus Vacuum from bObsweep, you can take care of it yourself using the “checkup” button on the machine. As the name suggests, this vacuum is built for cleaning pet hair. To that end, it comes with some really awesome features that will keep your floors cleaner than ever. First, it has a one-liter dustbin, allowing you to go longer without having to empty it. Second, it has TurboLift suction that pulls hair from both hard surfaces and low-pile carpets. Another aspect of the Pet Hair Plus is that it has six cleaning options. You can either set it to clean in a particular pattern (i.e., waffle), or you can tell it to do a deep cleaning instead. Also, you can set it to a specific area if you like, all with a remote control that comes with the device. Compared to other robot vacuums, this model has some really excellent highlights, making it a top contender as one of the best options for pet hair in the home. Although you shouldn’t try to use this model to clean your floors instead of mopping, it’s great for immediate cleaning. In addition to the mop setting, this unit also comes with high-tech sensors and features that make it more efficient at vacuuming as well. It has a much more powerful motor with a Max Mode that helps ensure that all pet hair is collected and accounted for. The V5s comes with sophisticated sensors that both detect and avoid drops and obstacles. Rather than bumping around trying to find its way, this vacuum will steer clear of anything in its path. Although the V5s is highly efficient, it also has one of the best batteries on the market. You can expect this vacuum to clean for up to 140 minutes at a time, which is more than enough to clean most of your home in a single pass. As with the other units we’ve seen, it will also recharge itself automatically once the battery dips below 10%. 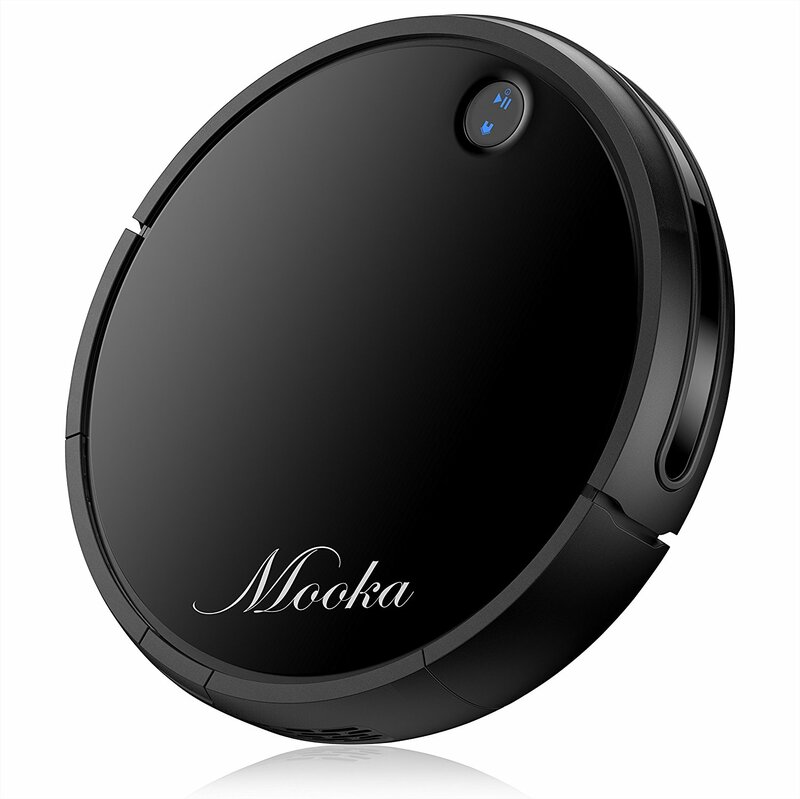 Although Mooka is not a brand that most people know as well as iRobot or ILIFE, it’s coming up in the world of robot vacuums. When compared to the big dogs, this is a highly capable machine that can make cleaning up after your pet much easier to manage. One proprietary feature that you won’t find with most of the other units on this list is a HEPA filter. Since dust and pet dander are always an issue, it’s helpful to have a filter that can trap everything within a few microns. You never have to worry about dirty air with this vacuum.Other than the HEPA filter, this unit comes with all of the standard features. It has a long-lasting battery that can clean for up to 120 minutes on a single charge. The vacuum will return to its docking station to recharge when it’s low on energy, and you can schedule it to go out at a particular time and date. This model comes with two side brushes to clean along edges and in corners, and it has an automatic cleaning head that adjusts to the type of floor it’s on. That being said, this vacuum is built for hard surfaces and low-pile carpets only. Finally, it has sensors that help it avoid obstacles and stairways. A busted vacuum does no one any good, so these help extend the life cycle of this machine. It also comes with a one-year limited warranty. Since pet hair can be a pain to collect in large quantities, you have to make sure that your pet hair robotic vacuum is up to the challenge. Many robotic units are designed to pick up light dirt and debris from your floors, which means that the motor cannot handle the load from your pets. To that end, you want to look for dual-stage or multistage motors that can keep the hair from clogging the system. The more power you have, the easier it is to manage your floors and keep them clean. 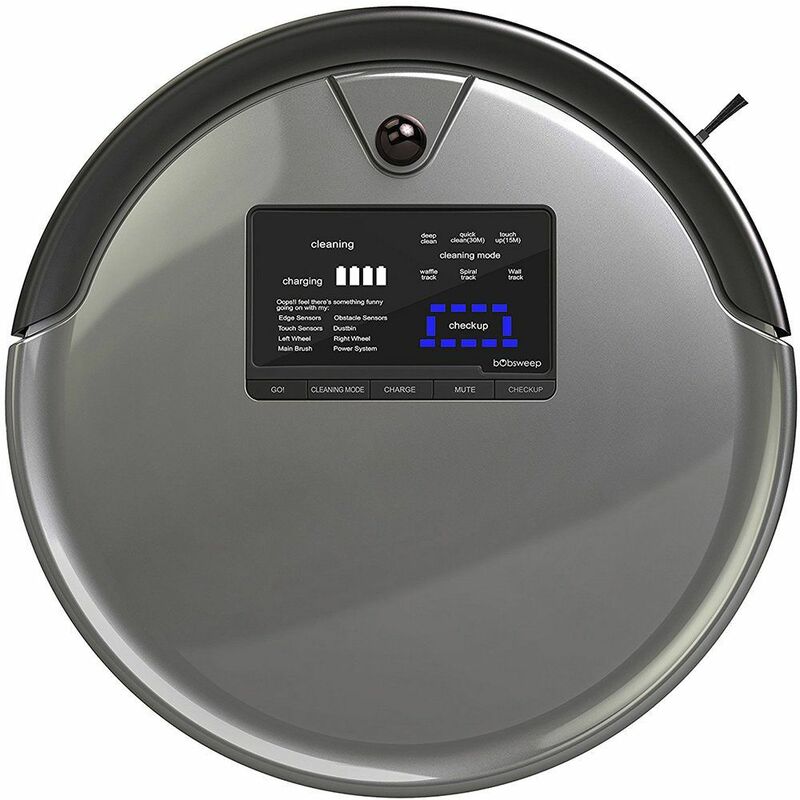 Although pet hair robot vacuum are highly capable, they are nowhere near as fast as you are when you vacuum manually. Thus, it might take you less than an hour to clean your whole home, whereas it may take several hours for a robot to do it. The reason for this is that they have to navigate via sensors and bumps - since they can’t “see” where they’re going, they have to tread softly. As such, you can expect one of these robot vacuum for pets to take about 20-30 minutes per room of your home. If you just have a couple of different rooms, then this won’t be an issue. However, larger residences will want to plan accordingly. 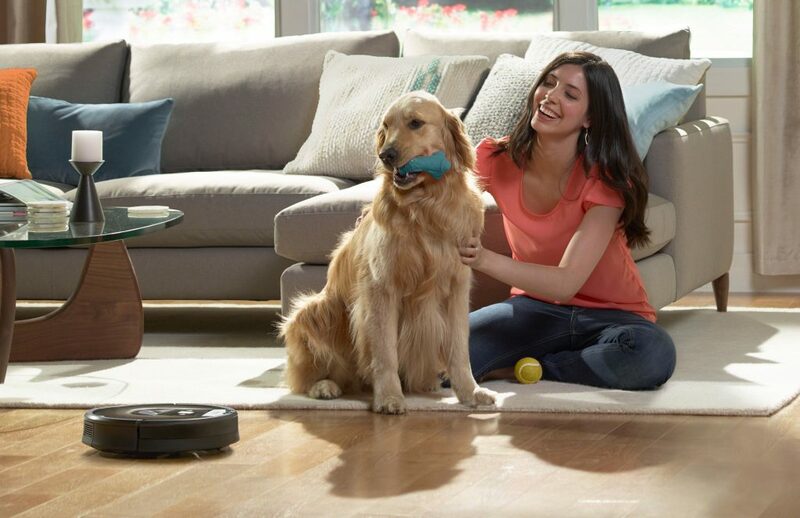 For the most part, robot vacuum for pet hair are designed to last anywhere from 90-100 minutes. If you can find a model that can last longer than that, it’s a keeper. Since every home is different, it’s imperative that your robot vacuum for pet hair can adapt to your needs. While the bulk of its job will be to collect pet hair and dirt from the largest surfaces in your house, you will have to command it to be more thorough from time to time. Thus, you want to find a model that provides you with a variety of cleaning options. Some examples of these can include edge cleaning, where it will hug the wall and corners of your room. Another setting could be spot cleaning, where you direct it where to go - this is helpful if you can see a patch of hair or dirt and you don’t want to wait for the pet hair robot vacuum to find it on its own. Remote controlling is also helpful as you can guide it more effectively and ensure that it’s always on task. Because they were the first, their robotic vacuum pet hair have the edge of being better than the competition. iRobot has been in the business of making robot vacuums for a while now, so they have better sensors, motors, and additional features. So, with that in mind, we have to say that either the 690 or 980 model are our top picks for pet hair robot vacuum cleaners. If you want the high-end solution to your pet hair problem, the 980 is the way to go. However, if you’re on a budget, the 690 is still incredible.